The Apollo Filter Stand, an extremely handy and simple device that will save you hours of clean up and keep your workbench clean and free from spills whenever you need to fill your spraygun coating containers. The Apollo Filter Stand makes filling your spraygun as precise as using the gun itself. This handy device allows you to place a filter cone into the filter holder, place a 1 quart or a 2 quart coating container underneath the filter cone and easily pour your favorite coating through the filter cone. 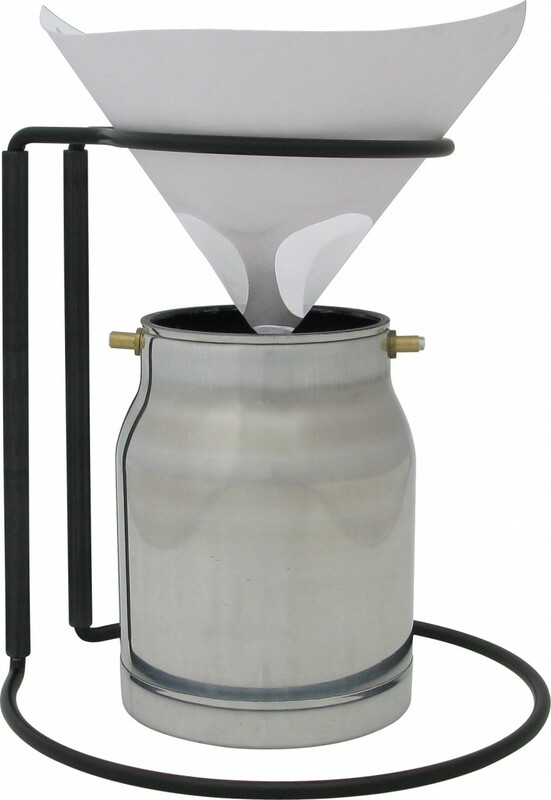 The cone traps any unwanted particles, dirt or lumps. It not only prevents wasted hours of clean up from spills but filtering your material before filling your containers ensures that nothing will ever clog your favorite spray gun again.